Kīlauea’s Night Skies: An Artist’s Perspective. Join Hawai‘i Island artist and interpretive guide Kent Olsen as he presents Kīlauea’s Night Skies: An Artist’s Perspective. Drawing on insights and perspectives developed through years of work in the medical imaging design field, as an interpretive guide at Mauna Kea Observatories and as a certified commercial guide at Hawai‘i Volcanoes National Park, Kent will present the night skies over Kīlauea in a way that is sure to provide a new perspective and may just change the way you see everything. Utilizing the current lava lake within Halema‘uma‘u Crater as a point of reference, you will journey from the depths of the quantum realm to the edge of the cosmos. Olsen boldly attempts to describe the natural world in a way that makes the scale of the seemingly infinite something you just might be able to wrap your head around. Attendees are reminded the park is open all night for stargazing and lava glow viewing. Part of Hawai‘i Volcanoes’ ongoing After Dark in the Park series. Free. 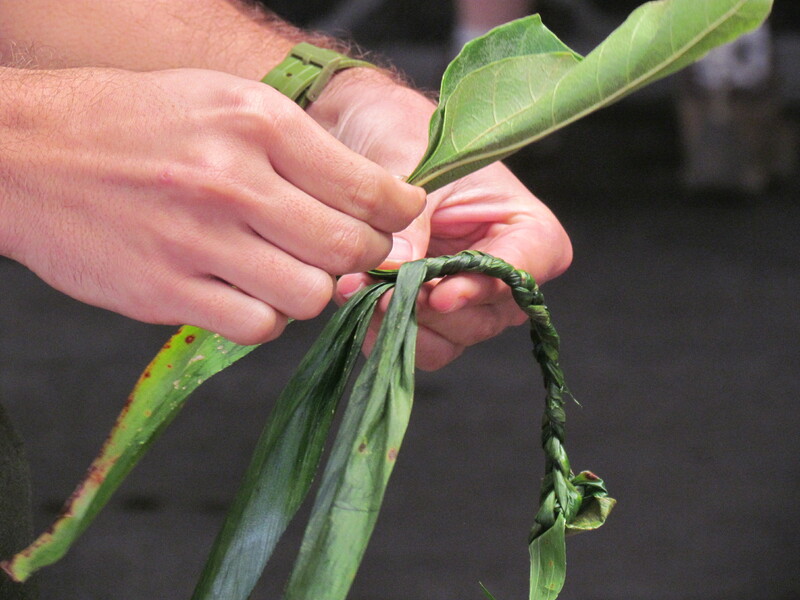 When: Tues., Aug. 11 from 7 p.m. to 8 p.m.
Nā La‘au: Important Uses of Hawaiian Plants. Park Ranger Julia Espaniola shares her knowledge and love for some of the island’s native plants and their traditional uses. Part of Hawai‘i Volcanoes’ ongoing ‘Ike Hana No‘eau “Experience the Skillful Work” workshops. Free. Hālau O Mailelaulani is a Hilo-based hālau under the direction of kumu hula Mailelaulani Canario. Kumu Mailelaulani established her hālau in the mid-1970s to perpetuate the kahiko (ancient) as well as ‘auana (modern) style of hula. Today, her ‘auana performers participate in the annual Merrie Monarch festivities and are regular entertainers for the cruise ships through Destination Hilo. The hālau placed third in the 32nd annual Kupuna Hula Festival, Wahine Group Competition held in Kona in 2014. Part of Hawai‘i Volcanoes’ Nā Leo Manu, “Heavenly Voices” performances. Free. When: Wed., Aug. 19 from 6:30 p.m. to 8 p.m.
‘Ukulele Lessons. Learn about the history of this world-famous instrument that plays a significant role in contemporary Hawaiian music. Join rangers from Hawai‘i Volcanoes National Park as they share their knowledge and love of the Hawaiian culture. Learn how to play a simple tune on the ‘ukulele and leave with a new skill and treasured ‘ike (wisdom) to share with your hoa (friends) and ‘ohana (family). Part of Hawai‘i Volcanoes’ ongoing ‘Ike Hana No‘eau “Experience the Skillful Work” workshops. Free. When: Wed., Aug. 26 from 10 a.m. to 12 p.m. This news release is also posted to the park website.